← Monday Question – What’s In Your Bag? Unfortunately, despite trying a plethora of iris-forward fragrances over the years, I’ve had difficulty finding one that’s the perfect fit for me. I would usually find them too icy cold, metallic edged or simply not packed with enough iris. I am nothing if not fussy. However, I’ve discovered an iris fragrance I feel completely at home in. Composed by a perfumer I have a lot of admiration for, Olivia Giacobetti, Hiris was released in 1999. It includes notes of iris, neroli, coriander, hay, rose, ambrette seed, almond wood, cedar, honey and vanilla. Last year Hermès issued it in a new bottle, along with seven of its other classic fragrances. This is a move that usually signals reformulation, although I don’t know if this is the case here. I am sharing my thoughts on the contents of the striking blue opaque bottle, which I am rather sorry to see replaced. When first spraying Hiris, it’s as if airy aldehydes pull the iris out of the damp earth by the roots and carry it aloft. It’s not a sparkling or soapy opening but floaty: hovering above the skin with an ethereal yet assertive quality which I covet. Some fresh green notes and sweet neroli accent the raspy, rooty iris perfectly. At the midway point Hiris warms on the skin and becomes gorgeously honeyed. It’s the soft scent of beeswax – a favourite note of mine – which relieves it of the brain freeze I experience with some iris perfumes. The drydown of vanilla and pale woods with a smattering of powder makes for a flawless finish. I’m happy to report that iris is present from beginning to end. Many people describe Hiris as elegant, which it is, but it doesn’t feel as formal and dressy as that adjective suggests. It’s refined in a way that is understated and effortless. It wears a simple blue linen dress, not a grey tailored suit like Chanel No.19 or a purple silk evening gown like Ormonde Jayne’s Orris Noir. Sadly Hiris is only available as an EDT, so I can see why it may be too reticent for some. It sits quietly waiting for you to come and pay attention to what it has to say. 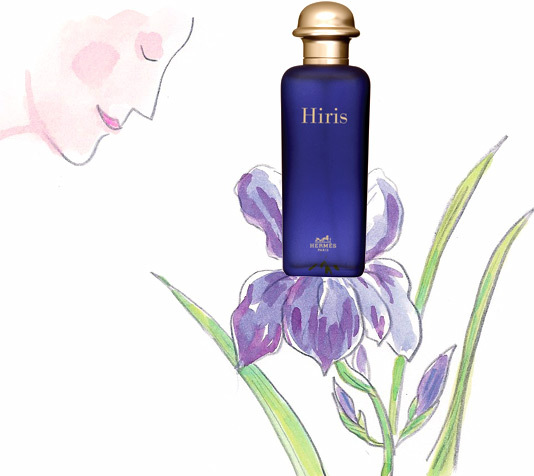 Hiris is an introspective fragrance. Its tranquil atmosphere is inward looking and self-contained, though not in a way that excludes. Introspection is a way to draw strength from within in order to face the world renewed. It is not a selfish act, but a fortifying one which enables more of the self to be shared with others. I love it so much, I’m prepared to counteract its quiet nature by applying liberally. Hiris is a seamlessly smooth and finely balanced composition, encapsulating both coolness and warmth. 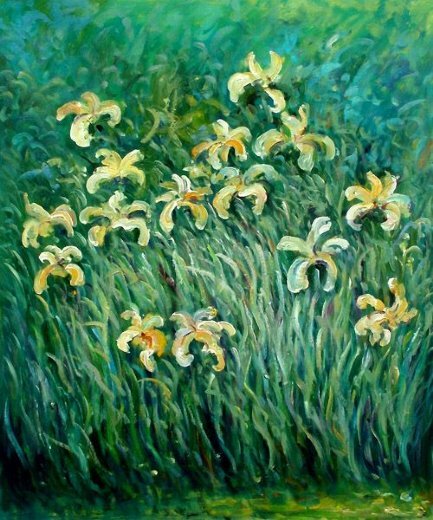 It is the sun’s rays warming the cold earth on a fresh spring morning; yellow irises swaying in the breeze. Have you tried Hiris in the old or new bottle? This entry was posted in By Tara and tagged Fragrance, Perfume, Review. Bookmark the permalink. I love Hiris as well (I still think of it as one of my favorite irises). I have it in that blue, opaque bottle and wasn’t aware that Hermes changed the bottle (hopefully not the juice). Nice to know you love it too, Ines. Fingers crossed it hasn’t been changed or at least not much. B owns one of the new bottle so it must still be good. Glad that you’ve found your iris, Tara. I am still looking, but that’s because I will always try a perfume that advertises its iris notes. My favourite at the moment is Papillons’s Angelique. The iris in Angelique is just gorgeous. Do give it another go Sandra. It’s the kind of perfume that could pass you by on first try. I absolutely love the blue bottle. Have not given it a go yet. . (Have worn Xerjoff Irisss recently. It is rather beautiful.) Will check this Hermès out next week in Vienna if I don’t forget. Enchanting review. Bussi. I went on Ebay to get the blue bottle. It was my first purchase of the year. I love it. Hope you like it too if you get round to trying it next week. What a gorgeous review Tara. Even if I don’t get all those lovely things out of it that you do, I still adore Hiris (to date my only Hermés – shhh, don’t tell B. 😉 ) especially the opening which reminds me of a cream from my childhood which is no longer produced. I can keep reapplying just to get that opening, and perhaps for that same reason I love it as a bed-time scent. You know I love iris, but I have yet to find a no 19 that works and Orris Noir doesn’t talk to me either. As far as I can recall I had difficulties actually smelling the iris, but no longer sure if that was what made me dislike it. My favourite is probably irisss as Val mentions, but I do have iris’s for all occations 🙂 Ombre Mercure is a new iris-love of mine. Asali, I have you to thank for matchmaking me with Hiris and now you have me lemming that Terry De Gunzburg. A dark, powdery, oriental iris sounds great and if it’s a love of yours that’s good enough for me. I love that the opening of Hiris holds such a vivd childhood association for you. What a beautiful review, I like your poetic thoughts on introspection (“not a selfish act”)! As much as I love Hiris, it sadly disappears on my skin after about 40 minutes. But on the other hand, I already found my two perfect irises: Infusion d’Iris (you don’t like it, do you???) and Khol de Bahrein. Both are completely different, the latter is on my skin actually more of a violet and has an enticing gourmand vibe. I’ve struggled with Infusion d’Iris. Somehow it just doesn’t quite work on me. Thanks for sharing your experience of Khol de Bahrein. I keep hearing great things about it. Must try. Hi Tara, This isn’t a comment about iris (which I love), but rather about your lovely comment about the renewing effects of introspection. I just finished an excellent book, Quiet by Susan Cain, that tackles the personality types of introversion and extroversion as they pertain to business and personal dealings with those of the opposite style. Cain examines the strengths and weaknesses of each style in a thoughful and nonjudgmental way. Great review, by the way! Thanks so much for your comment, Farouche. I think introversion is very easy to misinterpret and undervalue, so it’s good there’s a book out there that is trying to increase understanding. I actually had a lot of self-loathing over being an introvert until i discovered my MBTI type and read The Highly Sensitive Person. I bet Angelique is great on you LJG. It’s a beautiful wistful fragrance. Hi Tara! Echoing what Anka and Farouche said, I really appreciated hearing your comments on introspection (as I’m an introvert), and I do very much get a feeling of introspection from Hiris, too. I also loved your line: “When first spraying Hiris, it’s as if airy aldehydes pull the iris out of the damp earth by the roots and carry it aloft.” Such a beautiful image and true to the scent. I feel fortunate to own Hiris in its original cobalt-blue bottle – I think it fits the scent so well and it’s too bad they changed bottles. That said, I’ve come to find that it’s not my favorite iris anymore, as Prada Infusion d’Iris Absolue is much more me. I like its more cosmetic vibe, its infusion of creamy suede. Lovely to hear from you as always Suzanne. Thank you for your kind comments. I love that original bottle too but I guess Hérmes wanted a uniform design for their classics. I was impressed with the quality of the iris in Absolue, but i wish I got the creamy suede you do. All of the infusions are just so chilly on me. Hi Tara!Your descriptions are simply perfect of this gorgeous perfume!I have both bottles,love love! Glad you agree Johano! Good to know you love both bottles. Oh yes, I’ve tried both. Wore it for many years when it was first out. It was my signature. If they’ve changed the scent, it’s minor. It has all day lasting power on me. I find it distinctive and memorable and other-worldly. Thank you for the review. Thanks! Pleased to hear you are also a fan. I love the fact it is introspective but also has some warmth to it. It’s just so perfectly balanced. I know what you mean about the bottle but at least we’re hearing from commenters above that the juice is still great. Dear Tara, your review inspired me to buy my first lemming in a long time. I am very glad I did! It did not arrive in the gorgeous blue bottle, but I like the hefty Hermes bottle even if it is a little less spectacular. 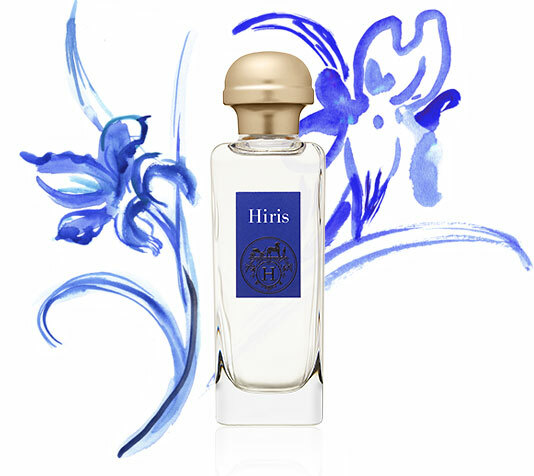 Hiris is the first scent that has pulled me away (somewhat) from Heure Exquise which I wore for weeks on end. I love the rooty powdery and quiet song Hiris sings, or rather, hums. I now alternate these stunning irisses, both feminine and elegant. Thank you! Hamamelis, i’m so happy you are glad you took the plunge and bought Hiris! That’s really lovely to hear. Thanks for telling me. It does indeed hum a quiet song. Beautifully put. I like Hiris and own a mini bottle of the old formulation. Unfortunately, dabbed it disappears from my skin in the same time reported by Anka – about 40 minutes. But now I realized that not only I do not trust the reformulation (you can’t even imagine what they’ve done to Rocabar!) but I will be extremely sad not to get that beautiful bottle… So I should probably hunt the old bottle while they’re still available. That’s such a great compliment Undina. Especially when there is so much new stuff to get through. I think I’m very lucky not to have any problems with Hiris’s longevity but it’s a quiet perfume for sure and lots of people do have issues with it. I hope you manage to track down the old bottle (at a good price!) and are happy with it. Ooh, Tara, as someone who also tries and is left cold by so many iris scents, your lovely review – with its mention of a honeyed facet – will have me reaching for my sample of Hiris very soon. On the very few occasions I have tried this down the years, I have always loved it, so goodness knows what it is doing in deep storage at all. 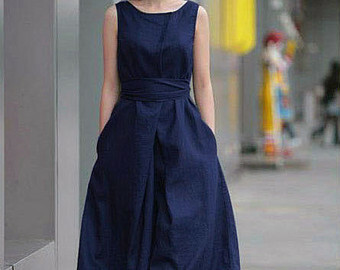 Your analogy with the indigo blue linen dress is also perfect – yep, this is a must-retry if ever there was one! Empty that sample onto your skin V and see what you reckon. I think I was too timid with it in the past and it never stuck. Please let me know how you get on. Thanks very much for sharing your own experience of Hiris floraence. It’s great to hear from a long-term fan that the juice hasn’t changed. I couldn’t bear it if having just found my iris, they discontinued it, but Hermes seem not to have a habit of doing that – fingers crossed!